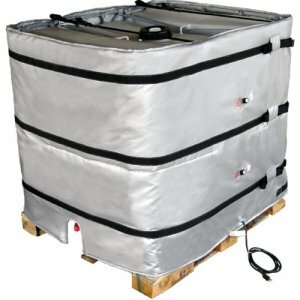 Industrial Bulk Container Tote Tank Insulated Heater blanket helps improve flow in cold conditions. May be used outdoor. Self regulating 150 watts of heating. 2 inch side insulation; 0.5” top insulation. Three standard heights: 36"; 42"; 48". 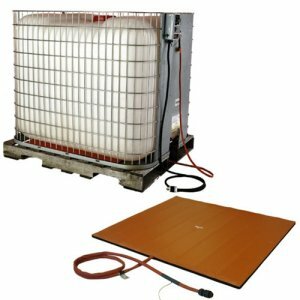 Fits any tote tank from 40" x 40" to 48" x 48".